When it comes to grilling, lamb is often overlooked. 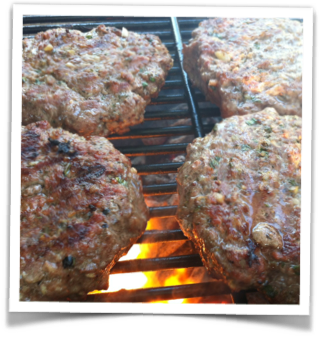 Yet it’s a wonderful, flavorful meat that makes a great burger. The taste of lamb can be a bit strong, however, so I mix 1 lb. of ground lamb with 1 lb. of ground grass-fed beef. Heat 2 tablespoons of the olive oil in a skillet over medium heat. Add the onions. Cook until browned, about 6 minutes. Transfer the onions to a plate and let them cool. In a bowl, mix the onions, the lamb, pork, mustard, herbs, spices, garlic, scallions, salt and pepper. Place the burgers on slider buns with lettuce and tomato, and smear the bun with the feta cheese dressing or tzaziki. Recipes for both are below. My recipe for feta cheese dressing works really well with lamburgers. 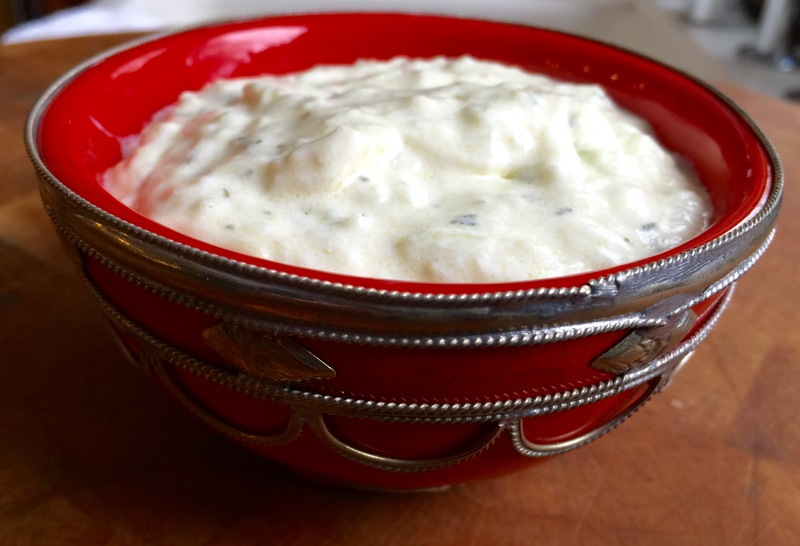 If you’re skipping the bun and serving the burger with a salad, you might want to try my tzaziki recipe. Combine all the ingredients in a bowl. Mix well. Cover and refrigerate. Best the next day. Combine all the ingredients, except the cucumber, in a bowl. With the cuke: peel it, then finely grate it into a bowl. Add a pinch of salt and let it sit for a few minutes. Then scoop out the mashed cucumber with your hands and squeeze as much liquid out of it as you can. Add the cucumber to the bowl with the other ingredients. Discard the cucumber liquid. Cover and refrigerate. Best the next day. 153 Charlotte White Rd. EXT.